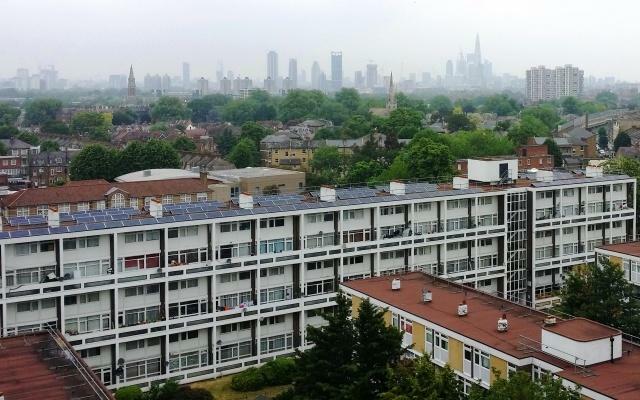 Thanks to the research and development department of EDF Energy, a social housing block in Brixton, England, will in the future be able to trade solar energy generated by a PV system installed on the roof. From March 2019 on, residents of Elmore House will be able to use Blockchain technology managed by an app to obtain their energy from local renewable energy sources or use their own solar energy. Normally direct energy trading between consumers is not possible, but for the project this is made possible by the government regulator for gas and electricity markets (ofgem). “At EDF Energy, we are committed to making energy easier for our customers and unlocking the benefits that new technologies are bringing to the sector. By collaborating with our partners and using block chain technology, this project in Brixton aims to show how small communities in dense urban areas could benefit from a low carbon and local energy system in a new and transformative way.”, said Xavier Mamo, Director of research and Development at EDF Energy. Repowering London and UCL Energy Institute are also involved in the research project aiming at increasing the consumption of local low-carbon energy.